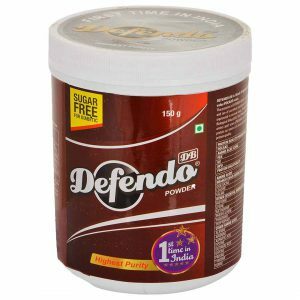 Defendo Protein Powder (Defendo Pure Protein) – For bodybuilding, weight gain and muscle gain. 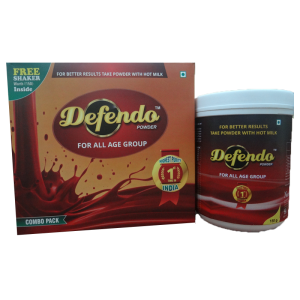 Defendo Pure Whey Protein Powder contains 90 gm protein per 100 gm. 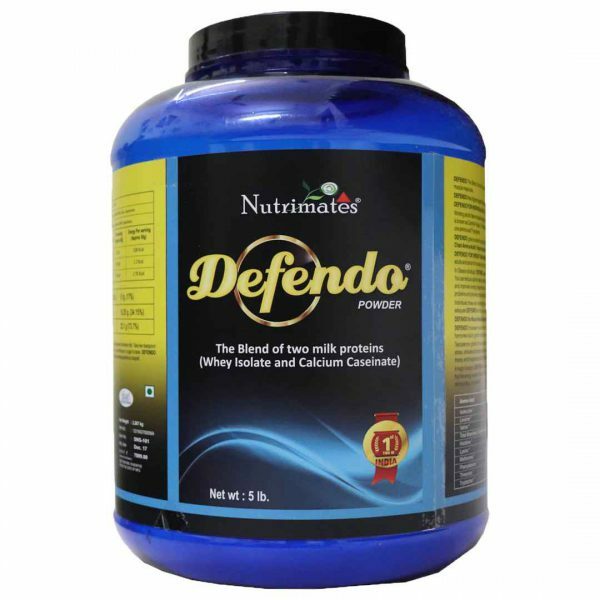 Defendo is 100% pure protein and has a combination of 2 milk proteins. 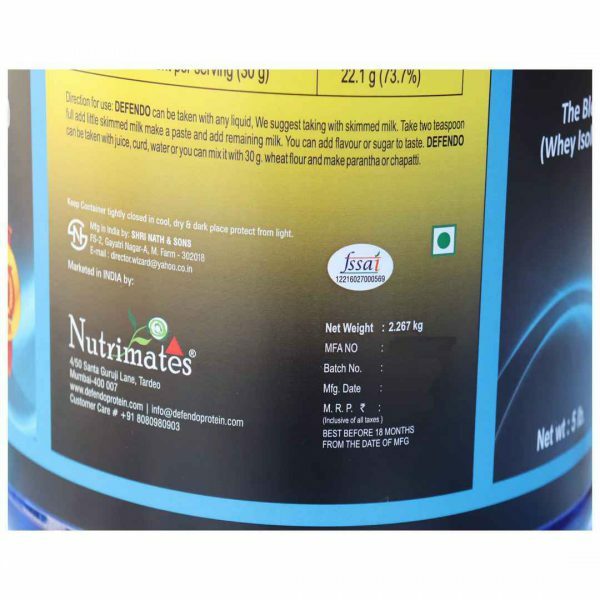 It has Whey Isolate combined with Calcium Caseinate and both of them are pure milk whey protein. It is mixed in ratio of 40:60 for long sustained delivery of Amino acids in body. 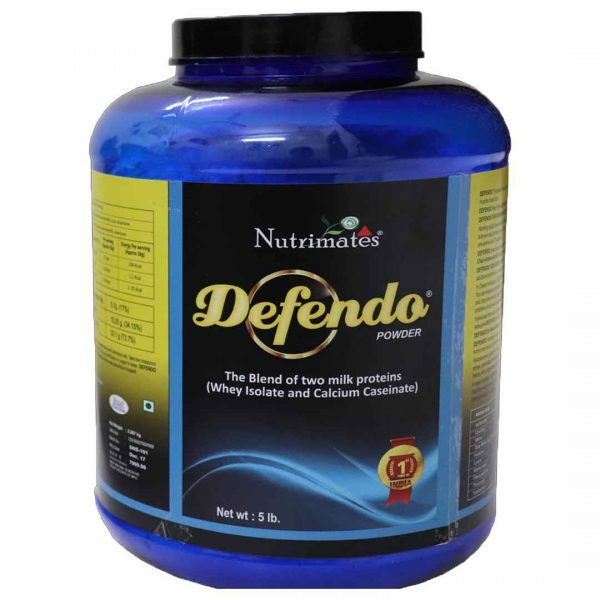 Defendo is a vegetarian protein so everyone can consume it without any worries. This supplement has Pure Whey Protein Isolate for fast muscle gain, recovery of lean muscle mass and helps to gain great results within no time. Defendo Protein supplements are rich in protein, does not contain additional fat or carbohydrates and only offers protein supplement. It does not have any added color or favor as well. Defendo only offers pure protein supplements. 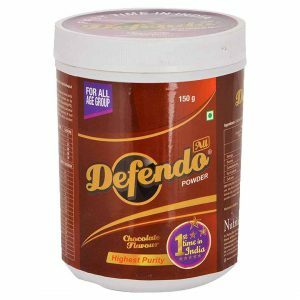 Defendo Protein Powder is specially made for athletes, sports person, gym freaks and all the people who do heavy work outs. Defendo Protein Powder prevents loss of muscle mass and helps body to gain lean muscle mass. It avoids swelling in muscles due to heavy workout. It can be taken as pre or post workout supplement. Defendo Pure Whey Protein contains Whey protein isolate blended with Calcium Caseinate. It can be used as pre-workout and post-workout supplement as well. Whey Protein Isolate is the best form of milk protein in the world. When a person consumes Whey Protein Isolate present in Defendo Pure Whey Protein which is also known as fast digesting protein, it gives a kick start and speed up the recovery of muscle mass loss during heavy workout. Calcium Caseinate present in it is slow digesting protein and maintains this recovery of muscle mass for 24 hours in your body. Hairs are a structure of protein. Indian environment is being polluted day by day and body does not get enough protein. Lack of protein causes hair loss, weak hairs, pre-mature greying and other hair problems. As a result, you lose your confidence as well but Defendo Pure Whey Protein powder contains pure milk protein which is 100% pure milk protein. 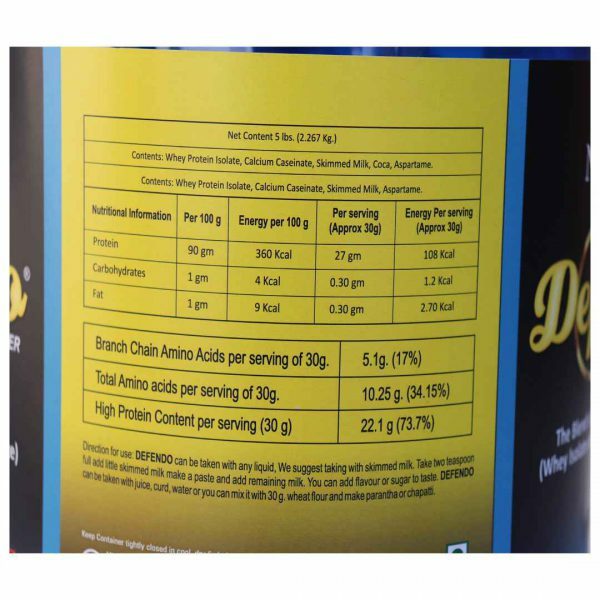 Protein is a requirement of every part of body and pure protein from Defendo Pure Whey Protein Isolate gives 90g protein per 100g which effectively fulfills protein requirement and you get strong hair. It also reduces hair fall if it is caused due to lack of protein in body. First of all, protein is very beneficial to gain weight and build muscles. Defendo Pure Whey Protein Isolate effectively fills loss of protein from joints and also start providing pure protein to muscles which builds lean muscle mass. If you take Defendo Pure Whey Protein after your daily meal, it speedily increases your weight as well. For people looking for losing weight, it is like an Ayurveda treatment which never fails. You can take Defendo Pure Whey Protein as a meal replacement to lose weight immediately. Regular exercise and replacing one time of your meal with Defendo Pure Whey Protein powder can control your appetite and reduces your weight effectively. If you are accidentally injured or had a surgery, you need pure protein on urgent basis because your body has lost muscle mass which needs to be recovered immediately and that can be done with protein only. Protein is the first element which is required to build new muscles in body. Hence, you should take Defendo Pure Whey Protein Isolate urgently to speed up your recovery. India’s First and only therapeutic formula to address clinical nutritional needs.